MARCH PUMP 115VOLTS. 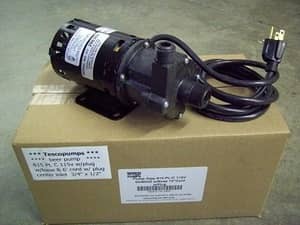 Used in Home Brewing applications This is a 815 PL-C CENTER INLET pump with a base,cord and plug . .
*Please note that this pump does come with a base. It comes with a 6'cord and plug** .